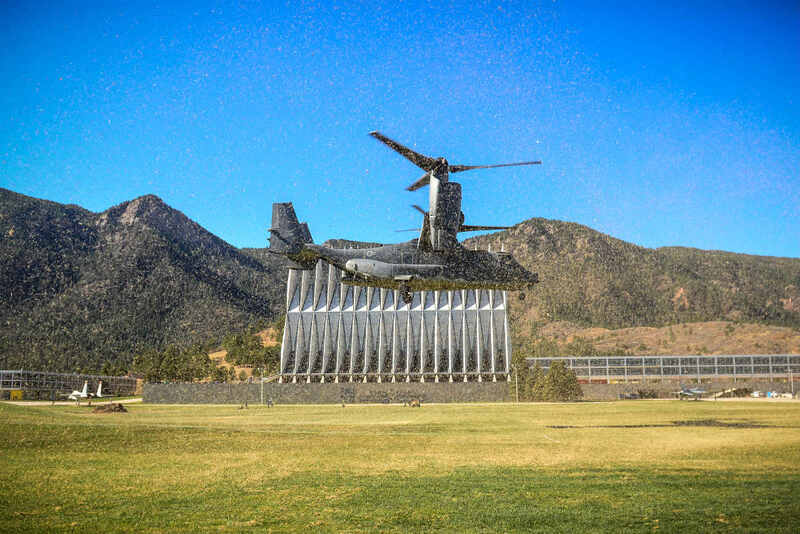 Air Force Veteran Will S.
Rotary-wing operations have long been a vital function in US missions around the world, but even the most flexible helicopters have their limits. This came to light tragically in 1980 during the Iran hostage crisis, when the failure of Operation Eagle Claw cost eight US lives. 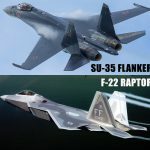 A lengthy process to find a new aircraft, one capable of vertical takeoff/landing while able to carry a significant payload in either material or personnel. 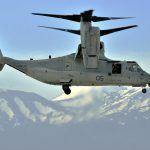 After decades of political wrangling, a joint project by Bell Helicopter and Boeing Rotorcraft Systems produced the Bell Boeing V-22 Osprey. 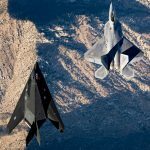 This new and nearly unique aircraft met all the requirements, albeit after a rough development process. A CV-22 Osprey aircraft from the 8th Special Operations Squadron at Hurlburt Field, Fla., flies Jan. 31 over Florida's Emerald Coast. While over the water, the crew practiced using a hoist, which is used to rescue stranded people. 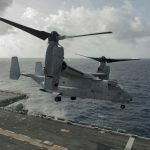 The V-22 Osprey is the world’s first production tiltrotor aircraft, which means—as the name suggests—the rotor can tilt to either a horizontal or vertical position. 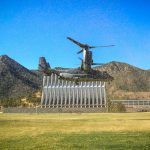 This enables the aircraft to function as either a helicopter or a fixed-wing aircraft, depending on mission and conditions. The advantages are obvious. This is a functional transport aircraft that can make use of the extended range and fuel efficiency of a fixed wing, while able to land on either conventional runways or helipads as needed. 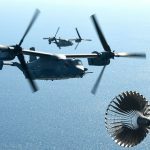 Two CV-22 Osprey tiltrotor aircraft assigned to the 8th Special Operations Squadron make their approach for a tiltrotor air-to-air refueling with an MC-130H Combat Talon II assigned the 15th SOS over the Gulf of Mexico, Nov. 17, 2016. 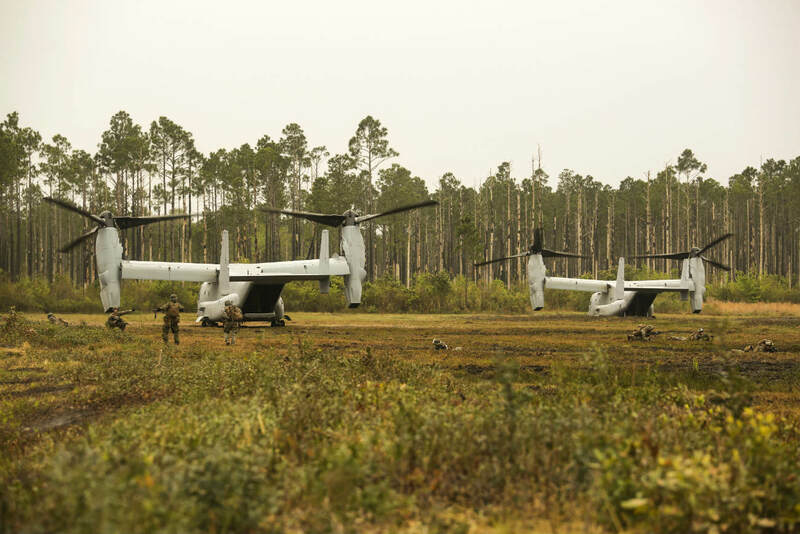 Secretary of Defense Ash Carter visited with Air Force Special Operations Command Air Commandos, participated in a Joint Assault Force with Special Tactics teams and flew on a CV-22 during his visit to Hurlburt Field, Fla. This is accomplished via an innovative design. The engines are mounted in nacelles at the end of the wing. 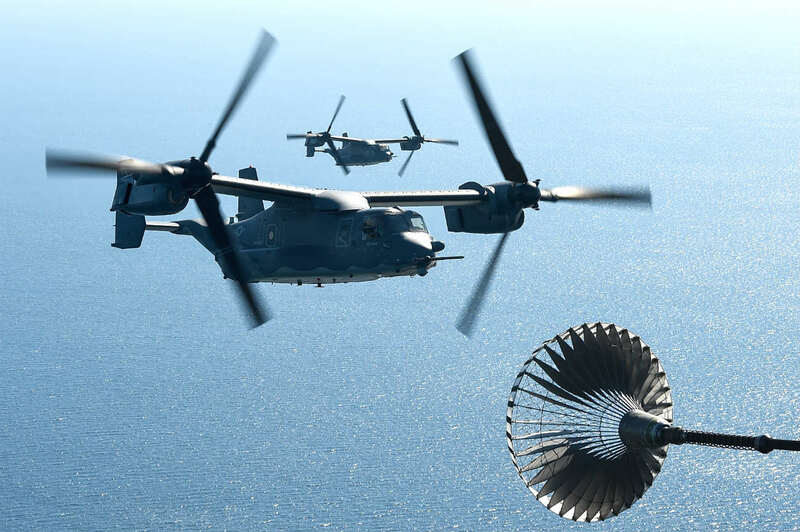 These power plants—twin Rolls-Royce T406—were designed specifically for the Osprey project. Turboshaft engines with integral 14-stage high pressure axial compressors fire by annular combustors which support two stage high pressure turbines. In other words, the T406s can supply a great deal of power. 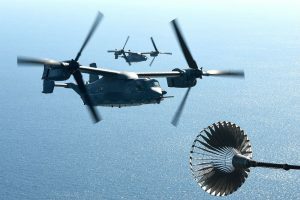 These engines power unique three-bladed propeller/rotor design (proprotor). Each proprotor is 38 feet in diameter, and combined with the powerful engines, deliver big performance. 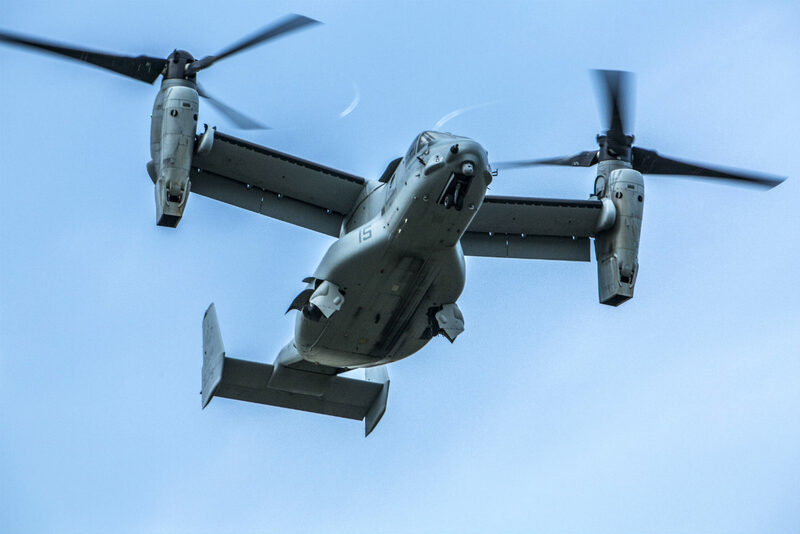 The V-22 Osprey has a maximum speed of 316 mph and a rate of climb between 2,320 and 4,000 feet depending on the orientation of the proprotors. The service ceiling is an impressive 25,000 feet. 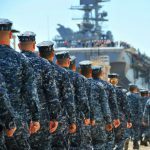 The maximum range of over 1,000 miles and combat radius of 426 miles allow for operational flexibility. 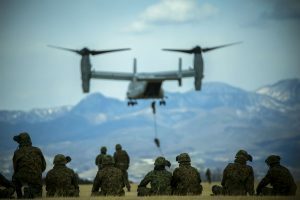 Japanese Ground Self-Defense Force soldiers fast rope down from the MV-22 Osprey at Somagahara, Japan, March 9, 2017. 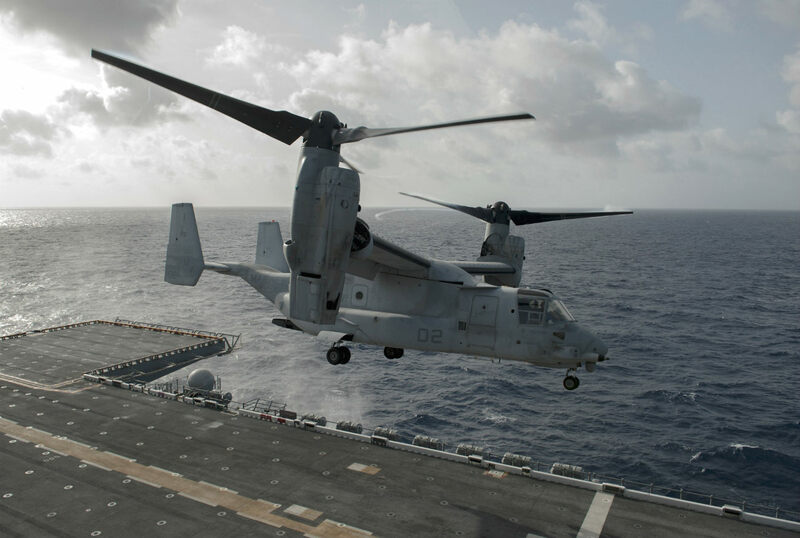 The real strength of the V-22 Osprey, however, is its payload capacity. 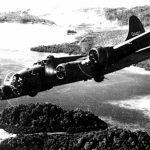 The maximum takeoff weight of 60,500 lbs breaks down a bit further. 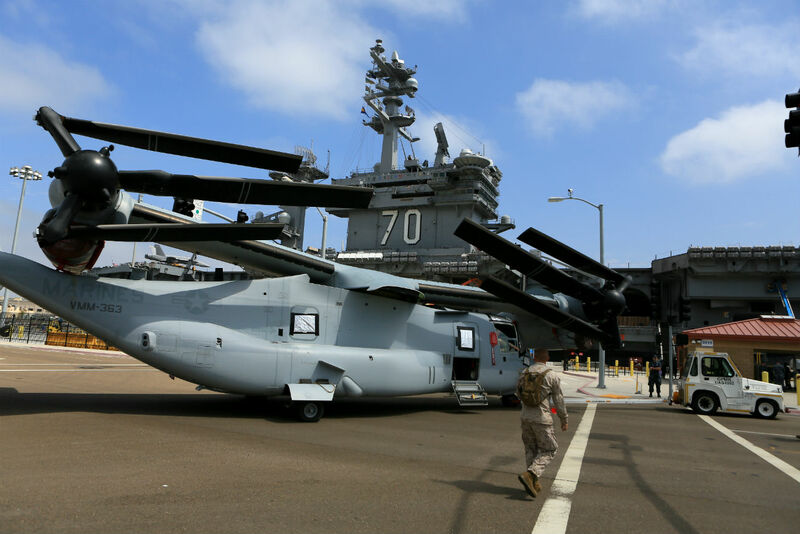 In vertical takeoff mode, the max weight is 52,000 lbs while the maximum rolling takeoff weight is 57,000 lbs. 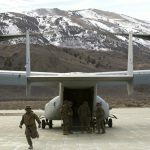 This gives it a greater capacity than most helicopters, which combined with its extended range means that the V-22 Osprey can deliver a variety of payloads to where they are needed. 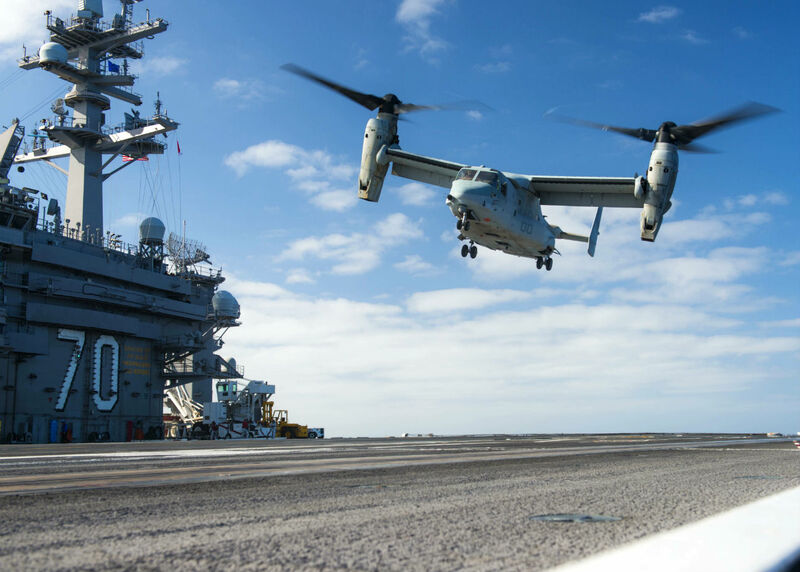 From their first deployments in the Middle East to the present, the V-22 Osprey has been used to deliver cargo, resupply, and personnel in support of US and allied missions. 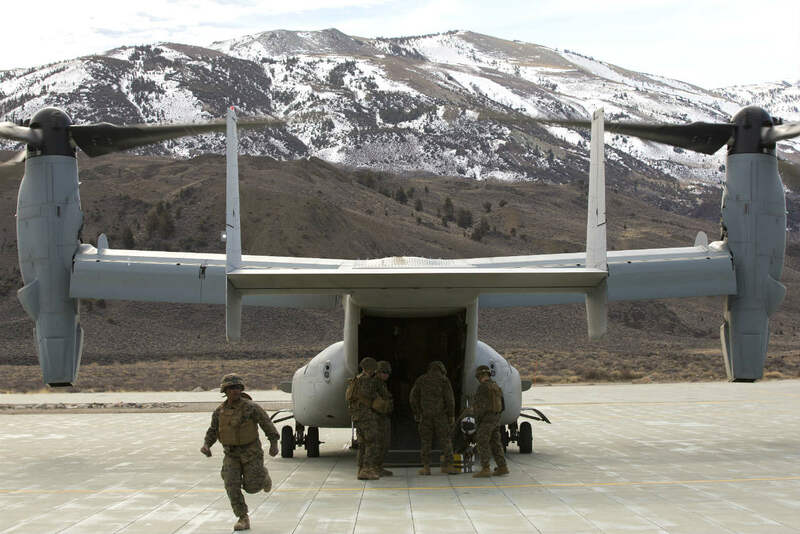 Furthermore, the V-22 can also be used to carry paratroopers into battle, a unique advantage in the ever-shifting Global War on Terror. 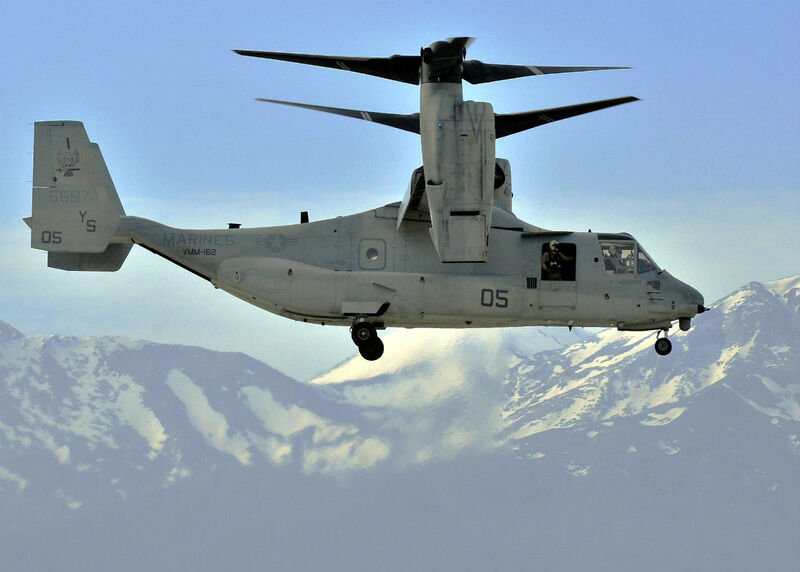 The V-22 Osprey was intended to be a transport and utility aircraft, and thus not designed with armament in mind. 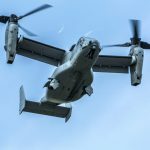 Generally speaking the V-22 carries one gun, a M240 machine gun chambered in 7.62 NATO or an M2 machine gun chambered in .50 BMG. This weapon is mounted on the loading ramp and may be fired rearward when the ramp is down. 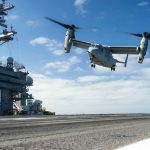 However, efforts have been made to expand the weapons options for the V-22. 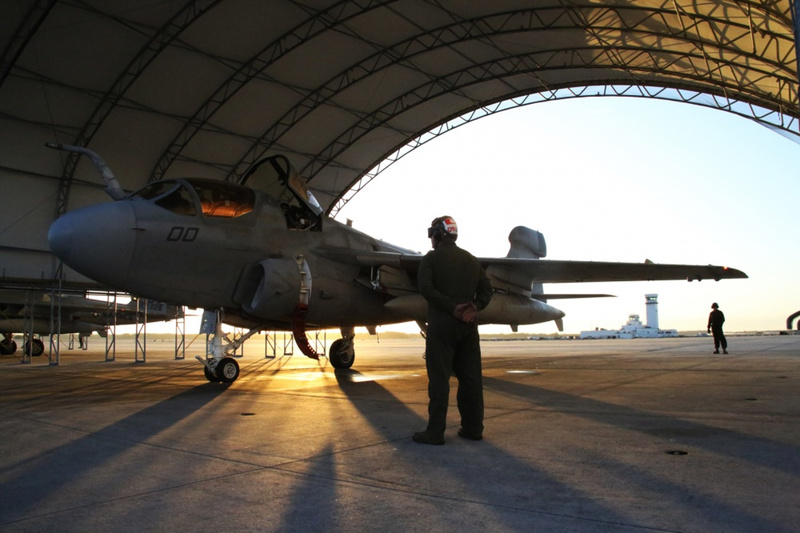 Experiments are underway to mount .50 GAU-3 Gatling guns in the nose of the aircraft. 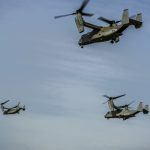 In 2014, the United States Marine Corp began experiments to enhance the offensive capabilities of the V-22 Osprey by adapting it to carry various air-to-air and air-to-ground missile systems. 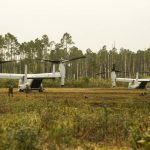 While these armed Ospreys have seen little combat use, this does show the inherent versatility and flexibility of the V-22’s design. 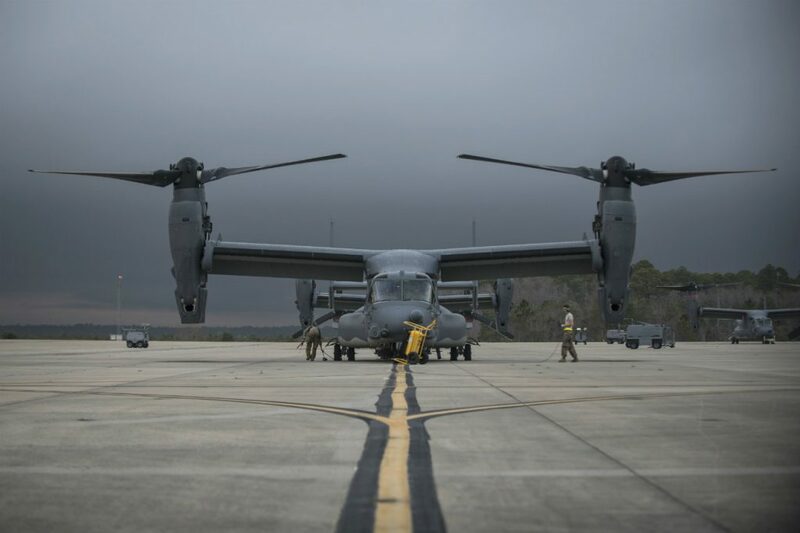 A U.S. Air Force CV-22 Osprey prepares for take off in support of Emerald Warrior Feb. 27, 2017 at Hurlburt Field, Fla. Emerald Warrior is a U.S. Special Operations Command exercise where joint special operations forces train to engage threats across the spectrum of conflict. 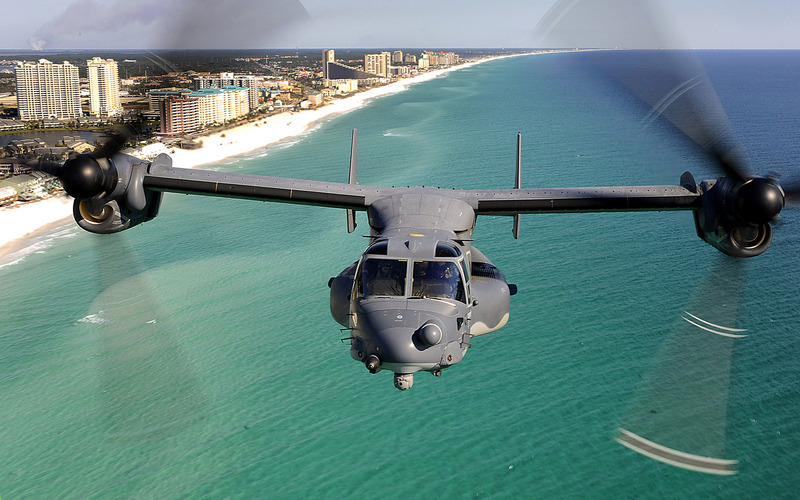 The Osprey first flew in 1989, and was finally introduced to active service in 2007. There are currently over 200 of them flying around the world. 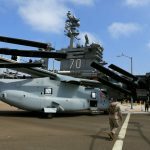 Chiefly operated by the United States Marine Corps and the United States Air Force, they’ve garnered interest from India, Israel, Japan, and South Korea among others. With an impressive track record and unique abilities, this Bell-Boeing hybrid may have established the future of utility aviation. 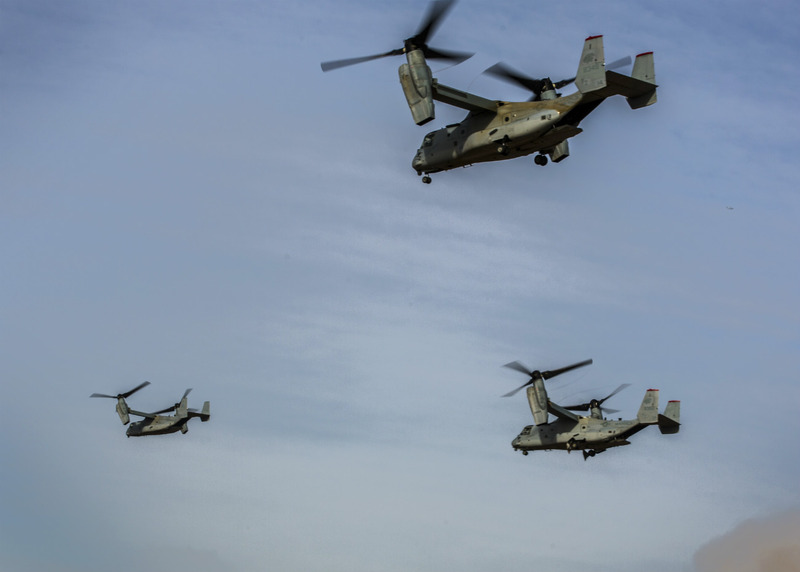 Now see more captivating images of the V-22 military aircraft.